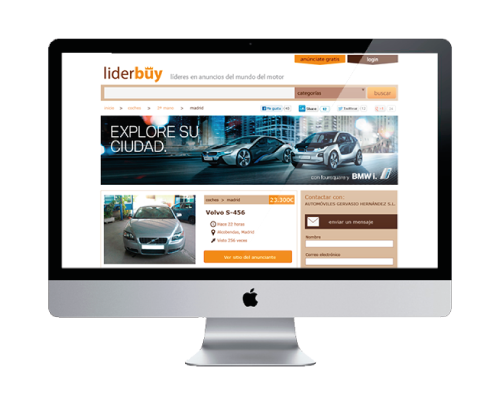 This company hired us to turn their old car dealer busines into a digital and modern one. After carrying out research into the online market and decided the best option was an agressive corporate website design strategy. Usability was an essential concept in this case because internet users are not very patient while performing buying actions. They want it right now, they don't like to wait. So this original corporate website design was forced to be quick, simple and easy for its users. 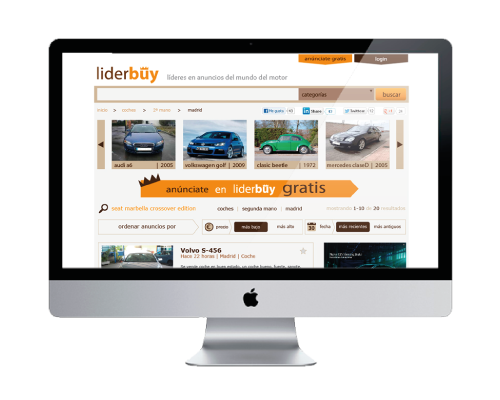 Our corporate website designers wanted to differenciate it from the rest of online car dealers. This creative website design is inspired in the 70s and 80s American second hand car dealerships. The website is very simple and intuitive, and makes it very easy to find the car that you are looking for in less than three clicks. 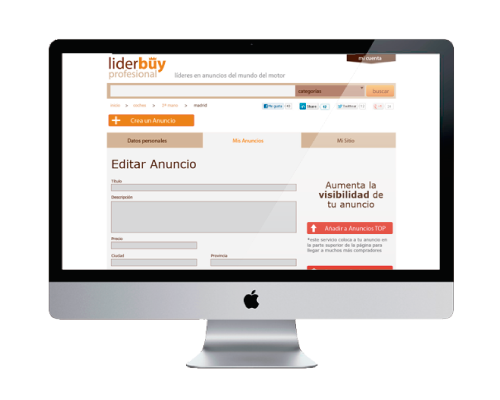 It inspires confidence and invite the client to explore this online store.